Before we take a closer look at the different types of air filters, it is worth noting that they are given MERV ratings. MERV stands for minimum efficiency reporting value. Simply put, the rating shows how good the filter is at capturing microscopic particles. The higher a product’s rating is, the better it can do its job. 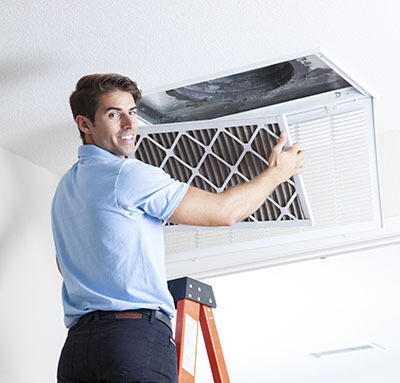 When it comes to air filter replacement, these are the first choice for the majority of people because they are well-known and very cheap. The problem with them is that they have very low MERV rating, usually between 1 and 4. This is primarily due to their small thickness. These filters have to be changed every 90 days at least. 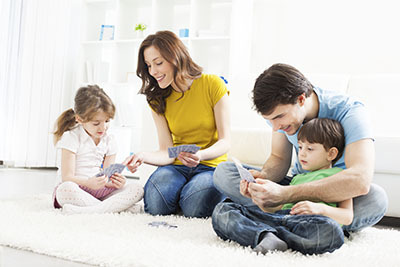 They are not recommended for households with small children and members suffering from chronic respiratory conditions. These filters for the HVAC furnace can capture dust particles and mold spores effectively. In fact, some studies reveal that they capture around half of all air contaminants passing through them. They have MERV ratings between 6 and 10. They are usually made from cotton paper or polyester. They have to be changed less often as part of regular HVAC maintenance compared to their fiberglass counterparts. Keep in mind that the higher efficiency of the filter is associated with greater slowdown of the air flow passing through it. As a result, the HVAC system has to work harder and use more energy. These HVAC air filter are made from thin cotton or polyester fibers which become electrically charged when air passes through them. This allows them to capture very tiny particles including pollen. They usually have a MERV rating of 8 or higher. You can select from both disposable and permanent models. 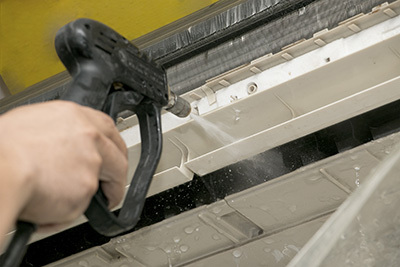 If you choose the second option, you should know that air filter cleaning is required every three months in most cases. These are undoubtedly the most potent of filters. They receive very high MERV ratings. It has been shown that they can capture between 98% and 99% of particles and microorganisms which pass through them. 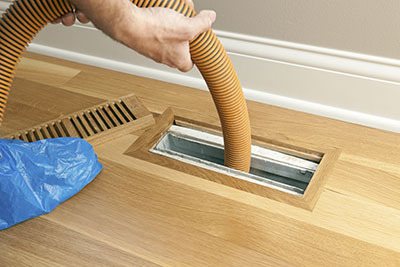 Given this, you can enjoy high home indoor air quality even with less frequent air duct cleaning. Their major drawback is that they slow down the flow of air circulated by the HVAC system too much and this naturally results in lower energy efficiency.